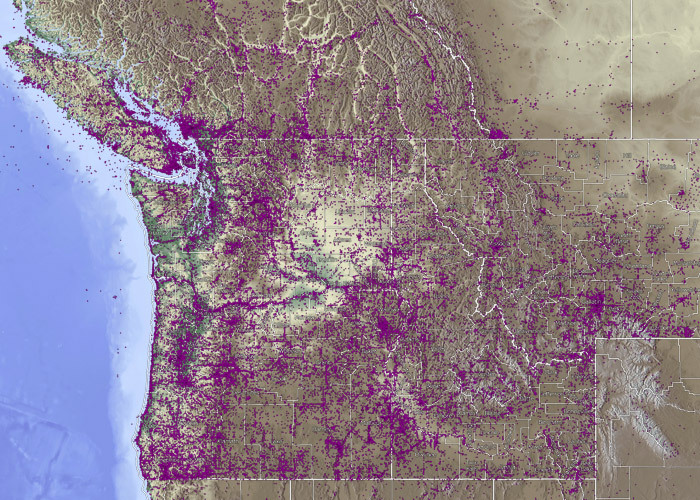 The following map shows all georeferenced specimens in the CPNWH specimen database for Idaho, Montana, Oregon, Washington, and southern British Columbia. Georeferenced specimens are those that have been assigned latitude and longitude coordinates, either by the collector or at a later date by herbarium personnel based on the locality text. Currently, 65% of the specimens in our database have coordinates and can be mapped. Occasional errors in coordinates are present. The most obvious of these appear as stray dots in the Pacific Ocean. The Consortium database code uses several methods to detect and remove such erroneous coordinates, but not all are currently caught. Download a high-resolution JPEG: 4279 x 2512 pixels (5.5 MB), 8558 x 5024 pixels (18 MB). 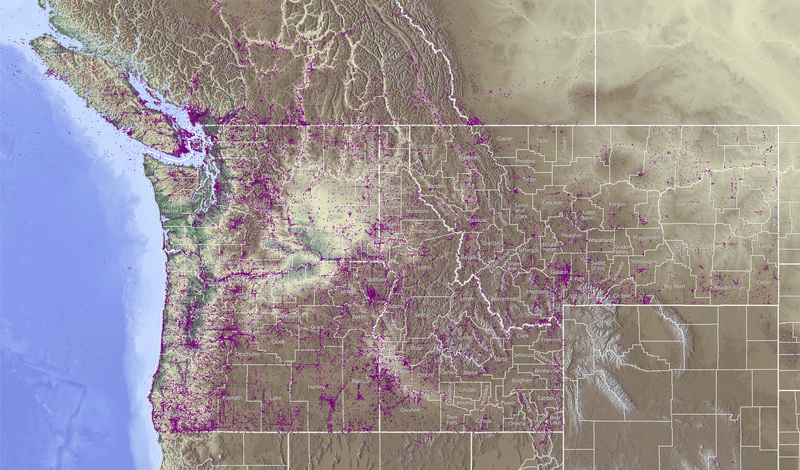 Map images © 2013, Consortium of Pacific Northwest Herbaria. Shaded relief derived from Maps-For-Free.